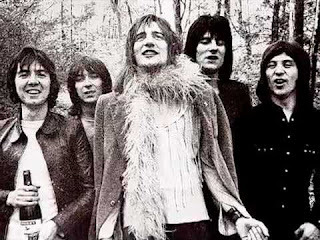 The legendary Faces were comprised of the remnants of the Jeff Beck Group and the Small Faces, becoming one of the premier bands of the 1970s. Drunken shenanigans and fiery stage performances by Ian McLagan, Ronnie Wood, Kenney Jones, Ronnie Lane and Rod Stewart would come to epitomize the decadent and manic rock of the early decade. In the studio, the Faces’ impressive catalog is likewise strewn with amazing moments, songs that hail from both their own discography as well as that of Stewart’s solo catalog, in which the band appears often. Today in the 'rock room' I am flipping through the band's LP's, ROIO's, boots, and singles while queuing up some of my favorites and rediscovering some of their greatest yet sometimes unnoticed deep cuts. Often overshadowed by Rod Stewart’s immense popularity and talent, the Faces were blessed with three other members more than able to compose their own amazing music. Often these songs involve the superior songwriting abilities and melodic sensibilities of bassist Ronnie Lane, as his tracks often made up the backbone and deep emotional content of the group’s catalog. 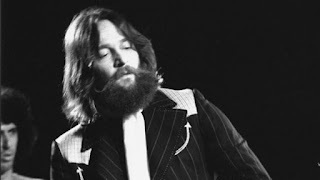 'If I'm On the Late Side' (Ooh La La, 1973): Found on the flip side of the 1973 LP 'Ohh La La', 'If I’m On the Late Side' spotlights some of the most tender and emotive Stewart vocals captured on a Faces cut. The Stewart/Lane penned song is a soulful slice of rhythm and blues done Faces style, with Ronnie Wood’s shimmery Curtis Mayfield-eqsue licks adding a delicate and perfect touch. Lane’s bass shadows Stewart’s longing melody line step for step, while Ian McLagan’s swirling organ and Kenney Jones’ sympathetic clip-clop drumming lay the foundation in which the melodic interplay drapes like a crisp spring sheet. Tucked away on the flip side, it's better late than never with this musical optimization of Faces R and B roots and their sympathetic expression of those influences. I love this track. 'As Long As You Tell Him' (B-side to 'You Can Make Me Dance, Sing, Or Anything (Even Take the Dog For A Walk, Mend A Fuse, Fold Away A Ironing Board, Or Any Other Domestic Shortcomings' 1974): What has to be one of the finest songs in the entire Faces catalog is stashed away on the flip of a long forgotten post-Ronnie Lane seven-inch. “As Long as You Tell Him” balances precariously on a rickety tom-tom based groove. Woody’s clean, yet sticky sweet guitar tone pops like a fresh slab of bubblegum. Midway through the track, he then takes over with some icy slide guitar that meshes with the cool runnings of Mac’s breezy organ additions. This is the type of track rock aficionados pine for, a lost classic brimming with perfection. Rod is in fine fettle here. 'You're So Rude' (B-side to 'Stay With Me' A Nod Is As Good As A Wink To A Bling Horse, 1971): This Lane/McLagan-penned song is a fun and funky track about secretive and illicit sexual meetings as a youth. Lane’s earnest and conversational vocals, laced with his natural humor and wit, give the song its personality. Co-composer Mac adds a honky-tonk piano and organ. Of note is Woody’s extended and thick guitar work at the conclusion of the number. Stewart does not appear on this song. This track was featured in Ian McLagan’s live performances until his passing, a comment how he loved the cut as well as the songs importance, in his view in the band’s history. 'Devotion' (First Step, 1970): A delicate Ronnie Lane hymnal hailing from the band’s debut LP in which Stewart sings and Lane accompanies in a stirring display. The paean of love can be interpreted as a message composed to a higher power, a lover, or to close friends. The philosophical aspect of the song is the unique contrast to the band's usually raucous expressions. “Devotion” somehow missed inclusion on the 2004 Faces box set, Five Guys Walk into a Bar, illustrating that its power and grace is still enigmatic. Sympathetic and attentive accompaniment is the order of the day, as the happily stoned group shows a mastery of concentrated dynamics while shyly revealing their smooth and rounded edges. Arguably one of Ronnie Lane's greatest musical accomplishments. 'Real Wheel Skid' (b-side to 'Had A Real Good Time' 1970): There has to be at least on instrumental represented here, due to the fact the band released quite an array of them throughout their career. Songs like “Pineapple and the Monkey,” “Oh Lord I’m Browned Off” and “Fly in the Ointment” are all wordless musical vehicles for the band. 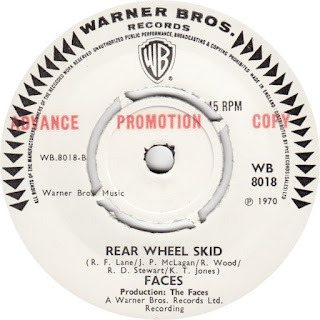 “Rear Wheel Skid” is one of the most accomplished of the bunch, opening with a gritty Lane bass riff and containing a funky and virtuous Kenney Jones drum display that has been sampled by other artists a number of times for their own compositions. The song is credited to all of the members of the group minus Stewart, with each of them lending stellar contributions. Ronnie Wood spreads a glassy layer of slippery slide guitar across the top of the jumpy groove and we are left with a squeal around corners version of one of Faces finest instrumental excursions. 'Glad and Sorry' (Ohh La La 1973): A fine Ronnie Lane composition from the Faces final studio LP. The tune is based and developed around a buoyant and circular piano perfectly intersected by slashing Ronnie Wood acoustic guitar interjections. “Glad and Sorry” contains a brilliant band performance where everything comes together perfectly, reveling the soft center beneath the group’s crusty exterior. The song is of the earth, it's clear expressiveness and earnestness is the source of its attractiveness. The song’s lyrics again rely on Lane’s simple lyrical queries and contrasts that reveal different worlds to the listener through their open-ended interpretations. While there are a numerous amount of songs that can be labeled with the moniker of 'deep cut' for the Faces, these aforementioned tracks are songs that I love but I also feel can be classified as classics; cuts that can be placed with the very best of that their discography offers. The group was blessed with the composing abilities of three prolific artists in Lane, Wood and Stewart and the Faces’ music reflected the diverse observations and beliefs of each of these principals. For a short musical time, the wealth of material being created by the band, in addition to the popularity of the group, overwhelmed and obscured some of their most beautiful music. It's rediscovery is cause for celebration and gives the 'rock room' one additional reason to raise a glass to the band.